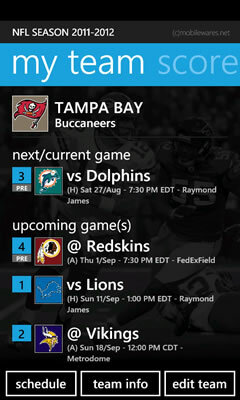 The perfect app for dedicated NFL Football fans! 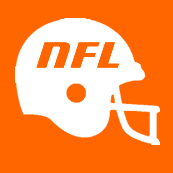 Keep track of the current 2011/2012 NFL Season (including Pre-Season) - complete with round-by-round and team schedules, live scores, team/player stats/rosters, NFC/AFC/League standings, latest News (for both the entire competition and your team). Great app. Very fast and smooth. Wish they were all like this one. Great job! Only good NFL app I could find. Full of tonnes of information to stay up to date with your team & the rest of the league! I like it its a good application. Great.! I can keep track of my favorite team's scores. Nb: Above rankings/awards for 'NFL Season 2011/2012' are at time of updating this page.